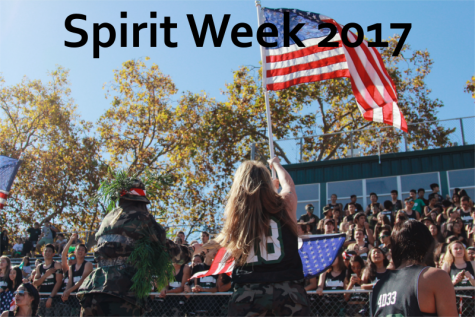 Palo Alto High School’s most anticipated week of the year, Spirit Week, kicks off this Monday with Theme Day. On Theme Day, students from each grade dress up based on a theme voted on by their class. Each theme corresponds with each class’ color: orange for freshmen, red for sophomores, yellow for juniors and green for seniors. 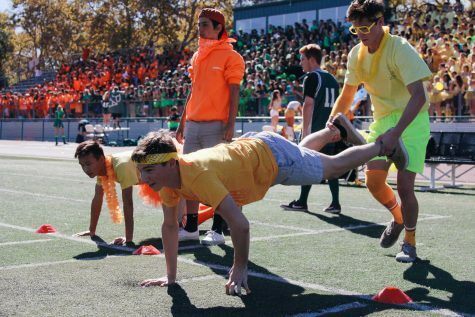 This year, the freshman theme is “Nickelodeon,” the sophomore theme is “Race Cars,” the junior theme is “Rubber Duckies” and the senior theme is “Monopoly.” Rather than wearing clothes that correspond to their theme, due to Paly tradition, seniors instead will wear decade apparel. 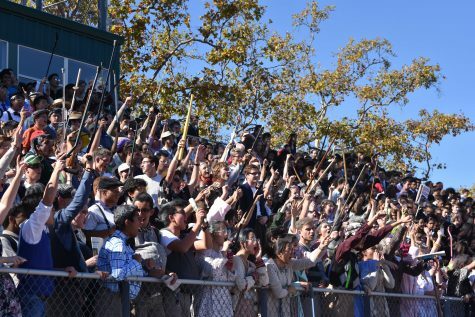 For the first time in Paly history, seniors will be sporting 2000’s gear instead of 90’s. 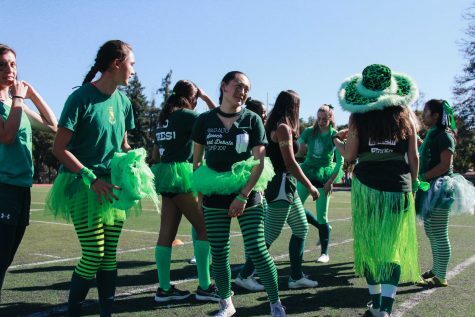 This year, Spirit Week festivities open at lunch on the football field with the lunchtime rally, which will feature three main events, according to ASB spirit commissioner Sam Embersits. First place for each event will be awarded 500 points. “The first day is Banana Bump, Pantyhose Bowling and Tennis Ball Bounce, the last two are new,” Embersits said. The Banana Bump event will feature one student from each grade. 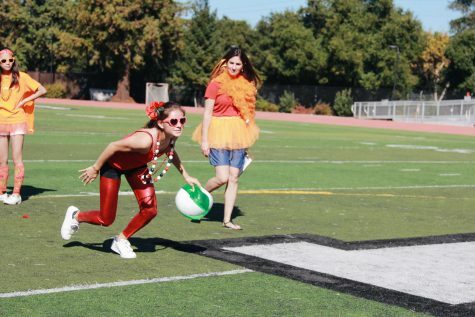 Each participant will have a banana tied around his or her waist and must use the banana to bump an orange, past the finish line. Pantyhose Bowling is another individual event where each player has tights on their head with a tennis ball in the front. There will be five half-full water bottles in each line, and each player will swing their head to try and knock bottles over with the tennis ball. The first player to knock all the bottles over wins. Finally, the Tennis Ball Bounce event will take place with two students from each grade. One will wear a helmet with a bucket on top, and the other student will try and bounce a tennis ball into the bucket. The pair with the most balls in its bucket after one minute wins. 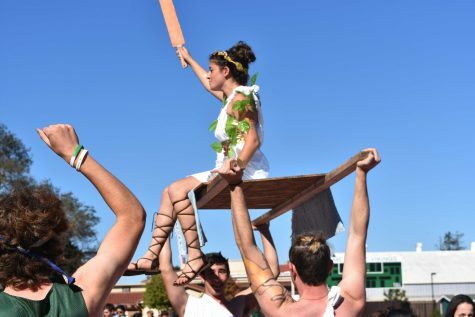 According to Embersits, unlike past years where the upperclassmen have dominated spirit events, the results of the event are unpredictable. In addition to the points awarded for the events, class cheers and scores for best dressed will award each grade with extra points. 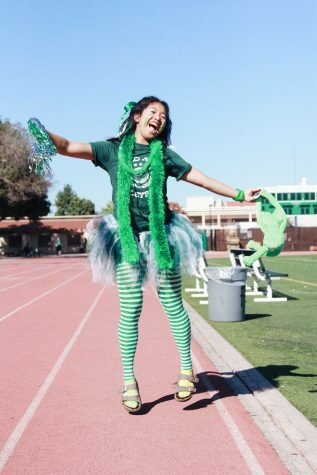 Cheers at each rally can earn up to 800 points for first place and up to 500 points for the best dressed contest. Up to 150 points of deductions are possible for a lack of sportsmanship and cleanliness. For more information on lunchtime rallies and the Spirit Week scoring system, refer to the ASB Master Schedule. 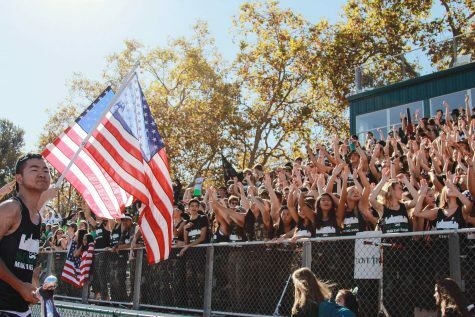 And use #palyspirit17 on all social media posts to have it featured on the Paly Voice website.